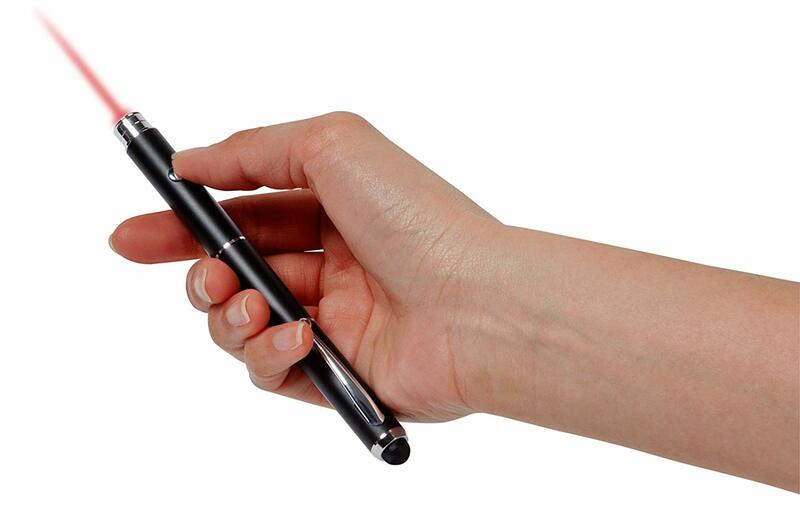 With a striking polished finish, functional rubber tip and integrated ballpoint pen, the Targus 3-in-1 Stylus for Capacitive Devices will add comfort, convenience and class to your tablet experience. 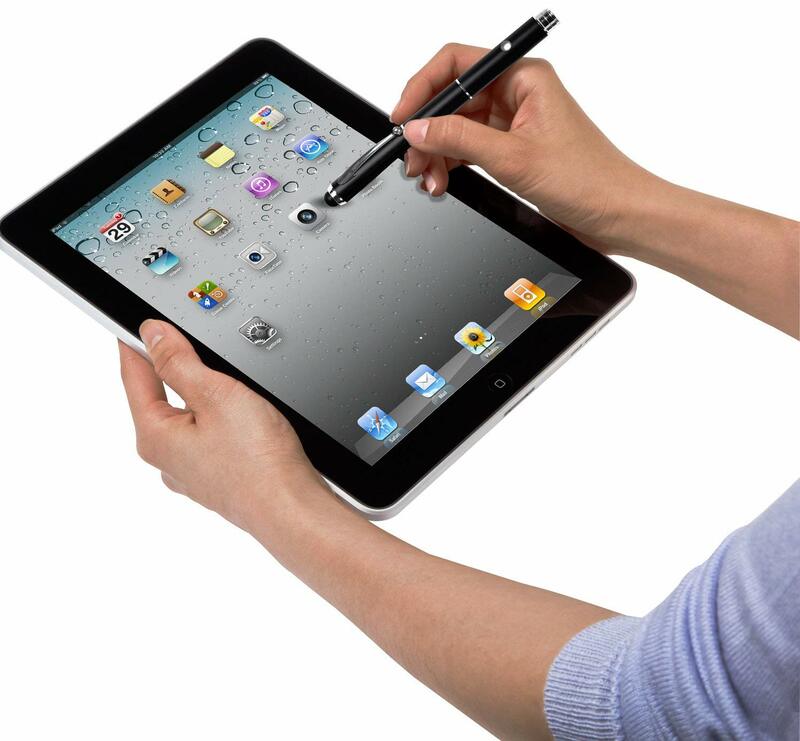 Although the stylus is designed and made for the iPad, iPhone and iPod touch, it’s actually compatible with any capacitive touchscreen device. Since a capacitive touchscreen relies on the distortion of its electrostatic field to indicate a command, the stylus has to act as an electrical conductor, just like the human finger. By using the same distortion technology, all capacitive touch surfaces are compatible with the 3-in1 Stylus – making it ideal for everyone with a compatible device. 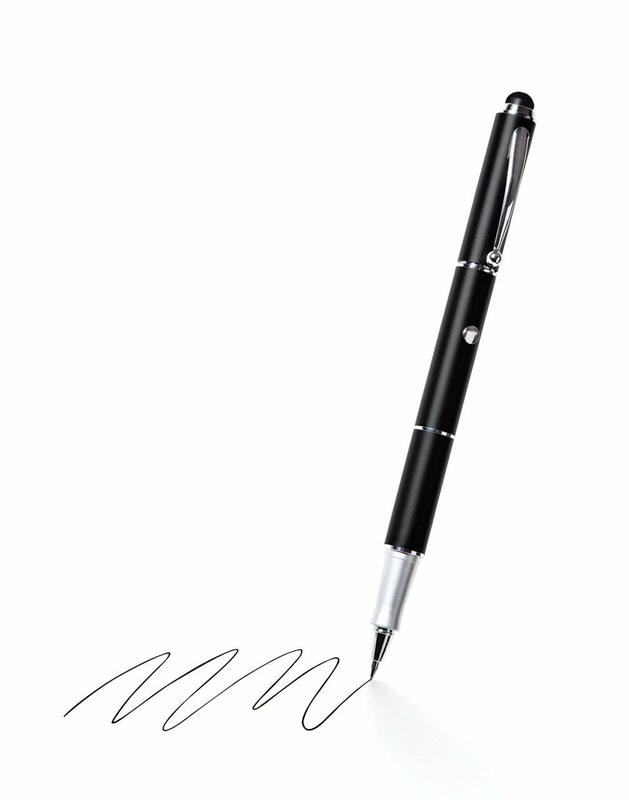 The rubber tipped stylus facilitates greater typing accuracy and comfort, as well as preventing damage to the screen’s surface. It also makes it much easier to take notes, type emails, and even browse the Internet. The inclusion of a ballpoint pen and laser pointer adds the simple convenience of having a pen close by to jot down little notes on paper. It even uses standard Parker Ballpoint ink cartridge refills. 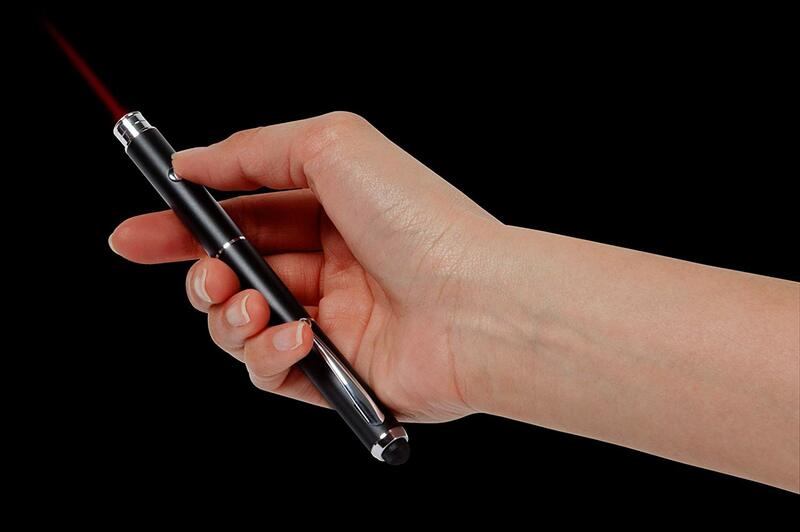 The 1 mW laser pointer comes in handy for teaching and presentations.